api_mouse_check_set_enabled(WindowHandle, Enabled) Enables or disables the mouse check feature for the specified window. This feature is disabled by default. PLEASE NOTE: you should call mouse_check_* built-in functions for the GameMaker: Studio window since it usually runs in a different Window Procedure (unless you called api_window_set_giavapps_procedure()). WindowHandle: it must be a WindowHandle. Enabled: enables (true) or disables (false) the keyboard check feature. api_mouse_check_get_enabled(WindowHandle) Returns true if the mouse check feature is enabled for the specified window or false otherwise. api_mouse_check_button(WindowHandle, MouseButton) Returns true if the mouse button being checked is held down or false if it is not. This function is compatible with mb_* constants of GameMaker: Studio. MouseButton: which mouse button constant to check for. api_mouse_check_button_pressed(WindowHandle, MouseButton) Returns true if the mouse button being checked has been pressed or false if it has not. This function is compatible with mb_* constants of GameMaker: Studio. api_mouse_check_button_double_pressed(WindowHandle, MouseButton) Returns true if the mouse button being checked has been double pressed or false if it has not. This function is compatible with mb_* constants of GameMaker: Studio. api_mouse_check_button_released(WindowHandle, MouseButton) Returns true if the mouse button being checked has been released or false if it has not. This function is compatible with mb_* constants of GameMaker: Studio. api_mouse_check_wheel_up(WindowHandle) Returns true if the mouse wheel is being rotated upwards or false otherwise. api_mouse_check_wheel_down(WindowHandle) Returns false if the mouse wheel is being rotated downwards or false otherwise. api_mouse_button_press(WindowHandle, MouseButton) Simulates (internally) the press of any button on the mouse. This function is compatible with mb_* constants of GameMaker: Studio. If MouseButton argument is mb_any Giavapps Windows API simulates (internally) the press of all the buttons on the mouse. api_mouse_button_release(WindowHandle, MouseButton) Simulates (internally) the release of any button on the mouse. This function is compatible with mb_* constants of GameMaker: Studio. If MouseButton argument is mb_any Giavapps Windows API simulates (internally) the release of all the buttons on the mouse. api_mouse_wheel_up(WindowHandle) Simulates (internally) an upward rotation of the mouse wheel. api_mouse_wheel_down(WindowHandle) Simulates (internally) a downward rotation of the mouse wheel. api_mouse_clear(WindowHandle) Clears (internally) all states of the mouse for the specified window. api_mouse_button_press_direct(MouseButton) Simulates (hardware) the press of any button on the mouse. This function is compatible with mb_* constants of GameMaker: Studio. api_mouse_button_release_direct(MouseButton) Simulates (hardware) the release of any button on the mouse. This function is compatible with mb_* constants of GameMaker: Studio. api_mouse_wheel_up_direct() Simulates (hardware) the upward rotation of the mouse wheel. api_mouse_wheel_down_direct() Simulates (hardware) the downward rotation of the mouse wheel. 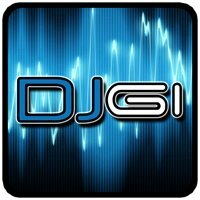 I am Luigi Piscopo, also known as DJ GiDeejay / Producer / Remixer in the music world. I am a Producer with a lot of experience in photo editing, video editing, audio editing, graphic design, web design, programming and promotion. Giavapps is an indie software house project started in 2012. We produce applications, games and extensions for various platforms.